A-HOTEL.com - Luxury and cheap accommodation in Posëlok Vysokaya Gora, Russia. 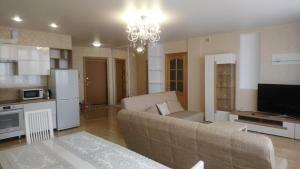 Prices and hotel, apartment booking in Posëlok Vysokaya Gora and surrounding. This hotel complex is situated in the quiet Sovetskiy district, within a 30-minute drive of the centre of Kazan. The Voyage Kazan offers a 24-hour reception with a tour desk and ticket service.